Home Dining Chefs and Restaurateurs What Happened to Simone? Just six months after the highly anticipated Arts District restaurant Simone opened its doors, owner Joe Russo announced on Friday that culinary star Jessica Largey had left her post as executive chef—an immeasurable blow to a restaurant that had previously been heralded as one of the year’s most important openings. In a press release, Russo—the director behind a number of films in the Marvel superhero franchise and a first-time restaurateur—said the split was a mutual decision, and that Largey would be succeeded by Simone’s chef de cuisine Jason Beberman. “It has been an honor to work with Jessica; her craftsmanship and culinary prowess is truly a sight to behold,” Russo says in the statement. “Jessica has helped bring conversations about mental health in the restaurant industry into the national spotlight, and we appreciate and admire these efforts. We wish her the best in her future endeavors.” Largey, the 32-year-old Ventura native who rose to national acclaim after being named Rising Star Chef of the Year by the James Beard Foundation in 2015, was similarly deferential. “I’m looking forward to taking some time for myself and then I’ll be ready to share news,” she wrote via text to the Los Angeles Times. Russo and Largey declined to comment beyond their initial statements for this story, but conversations with several former and current employees at Simone revealed systemic issues plaguing the restaurant’s short tenure: chronic mismanagement, a lack of direction, and a severe breakdown in communication between management and staff. According to one employee who, as with other employees we spoke to, asked to not be identified due to concerns regarding future employment, Simone faced an early setback after the sudden passing of managing partner Bruno Bagbeni from cancer shortly after the restaurant had opened. “Bruno was supposed to act as general manager and they lost him in the first week, which was really hard,” the employee said. “They were scrambling to figure out what they were going to do.” Bagbeni was not replaced as general manager, but beverage director Jordan Egan was promoted to assistant general manager, and operations manager Art Doloresco was given the title of director of operations. Though Doloresco apparently had prior experience managing restaurants in Atlanta, several employees complained that he was inadequately prepared for his new position (Doloresco did not respond when reached for comment). Prior to Simone, Russo was best known for directing films including Captain America: The Winter Soldier, Captain America: Civil War, and Avengers: Infinity War alongside older brother Anthony Russo. 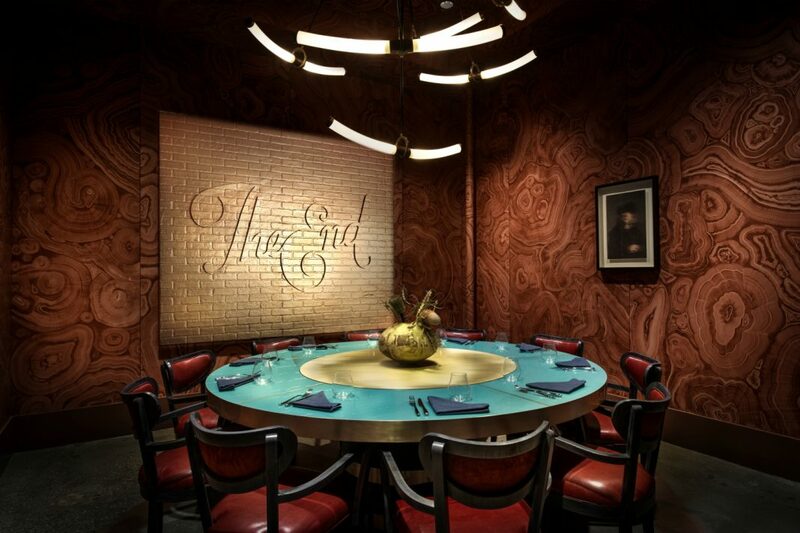 The restaurant was the younger Russo’s first foray in the hospitality industry, and he reportedly spent handsomely to transform a spare former photography studio into a glitzy 75-seat, Art Deco-influenced dining room (in interviews, Russo has declined to disclose the cost of construction). During Super Bowl weekend, Russo bought out the restaurant to host a booze-filled, celebrity-studded party that stretched late into the next morning; one employee described the bacchanal as “a total shitshow” that lead an assistant manager to resign her position there. At that point the restaurant was still suffering the aftershocks of a fire at a neighboring establishment that had damaged Simone’s wine storage and lead to the departure of beverage-director-turned-manager Jordan Egan a few weeks prior. With Egan and the aforementioned assistant gone, Doloresco became the restaurant’s sole manager. In addition to running Simone, he was at the time also developing a new restaurant concept to open with Russo in the near future.